Conditions are ripe for the multiple to multiply in 2006. One way to measure the expected or fair PE ratio is to use the old rule of 20. The rule of 20 is better than the old rules of 18 and 22 because the average makes for easy comparisons and the rule is more of a guideline than a rule. There is not a precise mathematical relationship. The rule of 20 says the current PE on the S&P 500 should roughly equal 20 minus the yield of the 10 year Treasury note. The current yield is about 4.35% leaving a projected PE ratio of 15.65. There is a bunch of good news in the above projection; especially if you combine the above projection with the projection of future earnings and the projection of future yields. The bond market yield curve is currently projecting lower interest rates and, although the second derivative of earnings growth is down, an increase in earnings is predicted. I like forecast derived from the bond market. This big institutional market is right more times than not. This market is clearly calling for lower interest rates. Think about it, if you were managing 10 Billion Dollars of 1 to 10 year paper would you invest in a ten year note at 4.35% or a 5 year note at 4.31%. You would have to have a strong belief that interest rates are headed down before locking into the then year paper. Projections of earnings growth are complicated by numerous factors. For example, the trend has been better than expected earnings growth for four years in a row. Analysts have consistently been wrong but in a good way for those of us who have been bullish. Another factor is that much of the earnings growth has been in oil or oil related stocks. The rate of growth in the oil market rate of growth is slowing. Ed Yardeni, one of my all time favorite economist, uses general economic statistics such as ISM indicators to project earnings growth. Suffice it to say that there are many indications that the rate of growth in earnings may slow in 2006 but the growth still could even possibly hit double digits again. The bottom line is that it is rare for the PE of the S&P to be below the rule of 20 PE. In past instances, PE's usually expanded. In the past, a flat yield curve has usually correctly predicted a decline in interest rates. A decline in interest rates would increase the rule of 20 PE even higher. In the past few years, analysts have underestimated earnings. An increase in earnings would widen the spread between the S&P PE and the rule of 20 PE. Add all these indicators up and one can envision a 30% gain in the S&P during 2006. Airline discount fares in America are changing business world wide. The big US carriers, such as AMR and CAL, have had to cut labor costs to compete with LUV. In doing so, AMR and CAL now have lower operating cost than other international carriers. SAS, Scandinavian Airlines in Sweden, is feeling the pressure. CAL will increase international flights another 15% in 2006. It is neat to own shares in an expanding company and then to see competitors cutting back capacity. The DAL pilots have until noon today to approve temporary pay cuts. Should they fail to do so, DAL will seek court permission to impose permanent pay cuts. After the cuts, the pilots will make $168,000 per year on average. It is difficult for most travelers to feel sympathetic to their plight. On the other hand, travelers are enjoying seeing amenities coming back. Airlines are gradually adding back perks that were taken away during the crunch of the past 5 years. The WSJ has finally caught up with me and Google. For several weeks, I have written about the many refineries that are planned or under construction around the world. One point I have made that is not in the WSJ piece is that when 3 Billion Dollars is used to build an oil refinery in Viet-Nam, that is 3 Billion fewer Dollars available for other purposes. Using the US housing market as an alternative one can easily appreciate that the mortgage rate on 3 Billion Dollars of housing might go up just a little. Using an average house price of $300,000 (higher than the actual average in America), 3 Billion Dollars is enough money to finance at least 20% more than 1000 of these houses. In regard to oil, I have stated that crude is likely to dance around $55 to $58 for a while before breaking to the down side. I am confident that the price will be below $45 in the next two to three years but cannot guess what will happen between now and when more production comes on line. It seems that demand destruction is rapid when the price gets above $60. It seems that demand destruction also is happening daily at $55 to $58. The WSJ reports 100 oil projects that could add 12 million dollars per day of "new" oil. It is just a matter of time before prices go down. Response to Muckdog and Random Roger: Yield Curve Inversion. Muckdog and Random Roger have noted the recent yield on the 2 year at 4.39% and the 10 year at 4.37%. The following is my response to their discussion. At the risk of sounding like "this time is different", I must say that there are a lot of things that used to be true that are no longer true. In the old days, a dramatic down-turn in autos was a sure sign of pending recession. A slow down in housing was even more ominous. Now-a-days, the economy is much more resilient because it is a service based economy, less dependent on cyclical industries. Another major change between the old days and now-a-days is that more and more loans are variable rate loans. "The glass is half empty crowd" seizes on variable rate loans as another reason "the recession" is going to be rough. As usual, economic variables do not correlate well with markets; at the very least, there is a time shift. A simple but great example is that one should buy cyclical stocks when earnings are low, not when earnings are at their peak. The market is already discounting the day when rate increases stop. Smart investors are buying the transportation index and other strong business cycle stocks while rates are still on the rise. While theoretically consumers have been hit hard by 13 increases in short rates, the economy has been resilient. Suddenly, the higher rates are finally slowing record home sales. For five or six weeks in a row, fixed rate home mortgage rates have come down. Thus, by the time sales are down, the market is already adjusting to make houses more affordable. The important reason the yield curve is flat is because long rates will not go up! Long rates, clearly have sniffed out declining inflation rates and are lower now than when short rates were lower. The inference to draw is that with autos and housing experiencing a slow down, long rates will continue to trend down. The FOMC is facing declining inflation, a slow-down in autos and a slow down in housing. The pressure is on to stop raising short rates. Indeed, the Bank of England is reported to be considering a rate cut. On February 1, 1995, during a similar mid-cycle correction, the FOMCmade the last increase in a string of rate increases. Only 5 months later, on July 6, 1995, the FOMC was forced to make the first of several rate cuts. Gold and oil have hit highs and lost momentum; in 1995, Gold continued to trade up a little when the FOMC was forced to cut rates. However, Gold started a very long plunge the following year. Oil has recently traced out a classic head and shoulders top. I see odds building of downward movement. I happen to agree with about 85% of the forecast made by my friends at haysadvisory.com (subscription required). This year, oil supply growth relative to oil demand growth was the strongest since 1998! One of my most valuable market "secrets" has been reinforced by the wise words of Ken Fisher as published in Forbes Magazine. He reports that if you can find a "true fact" that is widely disbelieved, you can make a lot of easy money. To be specific, oil production grew by 1.25 million more barrels than oil consumption during 2005, the second year in a row of excess production and the best result since 1998! If you want to track the energy markets closely, I suggest you subscribe to the WTRG Economics service produced by James Williams. He believes natural gas will be pushing down on $10 early in 2006. Oil industry forward earnings projections will turn-down if energy prices continue to correct. So, we will have one more block built in our wall of worry and another reason for a short-term stock sell off, and, another reason for long rates to decline. Housing is levered to long interest rates. Housing will catch on fire again if mortgage rates keep coming down. Many an American now wants to own a vacation home or two as the best way to get a visit or two from the grandkids. The majority of Americans, having done a poor job investing in stocks, know that first, second, and even third homes are great investments. During the first half of 2006, I will not argue against the idea that a slowing of GNP might occur. After all, who can expect a blistering 4.1% real rate to continue? However, without total idiocy by the FOMC or a terrorist attack on US soil, I see no recession in sight. With mortgage rates down 5 weeks in a row, with a record number of Americans turning 60 and with American family wealth exploding upward, you can count on heavy buying of second homes in 2006. With the highest levels of inheritance occurring in history (the Bob Hope generation is fading fast), you can count on housing upgrades by the recipients. Barry put up a great chart on his Big Picture Blog that shows the declining influence of the inverted yield curve. In the old days, the curve predicted something like 10 of 8 recessions. It is about to miss again. It is good to read that Google is "keeping the faith". "There will be no banner ads on the Google home page or Web search results pages. There will not be crazy, flashy, graphical doodads flying and popping up all over the Google site. Ever." Googlehas gone the extra mile to show that AOL will not get preferential treatment. The AOL stake will be segregated into a separate holding company so that when the time comes, the shares can be "spun off". This arrangement helps TWX establish the value of AOL while keeping TWX and Google in an arms length transaction. The key issue for me has been how TWX can make its tremendous video and magazine content available on the internet? I remain frustrated that one cannot quickly find an old movie or a "walled off article". Note that the ice jam is breaking-up. The linked article in this case is from PC World computer magazine. The system I see developing is one of access via a search engine to lots of content but then a steady dose of encouragement to the consumer to subscribe to expanded services. The subscriptions offered should include something like a "literary pass" to multiple publications. Consumers must pay for content in one way or another. Consumers want content without being force fed advertising. Consumers want to see advertising that helps them make decisions. Consumers themselves often do not know what they might buy. I just happened to run across a Christmas present yesterday that was exactly what I was looking for. I believe, Google would have helped me find this item if it knew more about me. As far as I know, Google is only slightly aware that I will soon have my first grand child. To this point, I am seeing no special advertising that relates to the coming birth. Give Google time and it will help me and you find the stuff we want. Products we want to buy and content that we want to watch or read. The deal with AOL will open the doors to much more content. AOL and Google will learn much more about me when AIM and Google Talk start working together. The benefits will be to me, AOL and Google. Do the Google Gulp; the growth in revenues has only started. The process of converting Iraq into a vibrant nation with a strong economy just took an important step. Iraq is on the path to prosperity. The $685 million dollar loan package is small potatoes by US standards but a significant chunk of change for an emerging nation. The debt swaps conducted also set the wheels of commerce in motion. No one can say how long it will take for Iraq to ramp up oil production. Now that the Sunnis have voted en mass for the elected government, one can only hope that destruction of oil facilities will diminish. U.S. and British troop withdrawals will begin this year. Progress in Iraq will see peaks and lows but, a year from now, the progress will be obvious. Merry Christmas and Happy Holidays to all who are in Iraq in service to the noble ideal of freedom! In recent weeks the price of gas pushed $15 and it will soon be pushing down on $10. There are indications that fuel oil has been substituted for gas as much as possible for the past couple of months. There are also indications that fuel oil is being used carefully. Airlines, which burn a mixture that is very close to fuel oil, have done a terrific job of conserving fuel while by combining all reasonable flights possible. American reported lower fuel costs of 61 cents per gallon during the 4th quarter. These lower costs are only possible because the current price of fuel is destroying demand. Consumers are using hundreds of methods daily to reduce demand. My Mother just insulated a new room addition to an r-48 level. In the meantime, mortgage rates are down five weeks in a row. The real estate "bubble bust crowd" sees the decline in mortgage rates as the end of the housing boom. This crowd simply does not appreciate the power of compound interest or the size of several population cohorts. Compound interest, according to Einstein, is the most powerful force in the universe. The cost of a home today at 6% interest is dramatically lower than the cost of a home 5 years ago at 9% interest. Lock in a 30 year mortgage at 6%, an after tax rate of about 4.2%, and you can enjoy living in a nice home for free! The value of the home is likely to go up as much or more than the cost of the mortgage. Americans will be jumping on homes again as soon as the FOMC lets up on the brakes. Variable rate loans will reduce prices by thousands of dollars when the yield curve reverts to its normal slope. Americans, wealthier than ever before, average the prime age to buy a first home, move up to a larger home or to buy a vacation home. Those folks who are between 59 and 65 years of age have historically bought the most expensive homes of their lives including the most expensive ocean front properties. For the next 10 years, the US will set higher and higher record numbers of folks in this age cohort. Those predicting a housing bust are about 5 to 10 years early. The younger baby boomers are between 48 and 54 years of age; the prime earning and spending ages. Those who worry about consumer spending have not seen many doting first time grand parents. Marilyn and I are expecting our first grand child and can not resist buying for this yet to be born child. Inflation hawks have been squawking up a storm for the past several months. However, number after number shows that inflation is well contained. With lower interest rates, low inflation, consumer spending, business expansion and lower fuel prices, the concerns about 2006 are over done. 2006 is shaping up to be a beautiful year! AOL and Google are getting a lot of exposure. The new deal between the firms will definitely increase total advertising revenues. Much new web content, including the TWX video library will be instrumental in increasing advertising revenues which will be shared by Google and AOL. The major difference for the two companies is that the new revenues will add to Google's total revenues but for TWX the new revenues will largely replace other declining revenues. The problem for TWX is that the company owns a number of horse, buggy and buggy whip companies. When the auto started up the product growth curve in 1914, the first 5 years, only dented horse, buggy and related businesses. 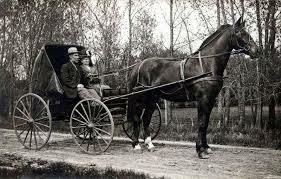 The build out phase that started around 1922 put the horse and buggy companies out of business. Not all of them went bust. A few were able to morph into other businesses which included every thing from furniture factories to auto parts and auto component makers. TWX and AOL are trying to morph because they own a number of companies that could turn out to be the "buggy whip" products of today. Dial up internet service, magazines and cable TV are three of the areas that need to do serious morphing. I suppose there will be paper magazines around for many more years but can the total revenues grow? Cable TV will be around for a long time to come but consumers clearly desire the option to view shows over the internet when they want and after editing out the standard broad based and largely irrelevant commercials. Certainly the dial up subscription revenue is declining. After reading positive comments about the Google-AOL deal at Peridot.blogspot.com, I considered building a position in TWX; not gonna do it! I think Parson is doing a good job with a tough situation. I think he made a good choice in linking up with Google. I think AOL on line advertising revenues will grow at a rapid rate for the next many years and thatGooglewill benefit from the growth. However, it will take considerable AOL ad growth to replace the loss of revenues in the "buggy whip" businesses. The Google of today is the GM. of 1922. TWX is a conglomerate of horse, horse stable, buggy, and buggy whip companies. The company has many valuable assets. The company has made the right move to become a "GM. parts and component supplier". TWX will survive, grow and prosper, but, for a few more years, much of the growth in online revenues will only replace other revenues. Investors who only want market performance may want to hold shares they already own. Investors seeking alpha (above average performance) should seek greener pastures elsewhere. I little touch of irony here is that GM junk bonds with a yield to maturity of 14% will probably outperform TWX over the next few years. These bonds will appreciate in value 10 to 20% in value by the time GM signs off on a new labor contract with the UAW in 2008. The road between now and then will continue to be rocky for GM. However, it is a reasonable bet that the interest and principle will be paid on time, although, the 9% yield on the stock is certainly in danger of being cut. Should the firm cut the dividend yield on the stock or should the company achieve heath care concessions from the union, the value of the bonds should pop. Receiving 14% interest checks, while I wait for capital gains, instills great patience. On the other hand, TWX does not offer the same incentive to let them take forever and a day to figure out how to monetize valuable content. WOW! AIRLINES! BIG COST CUTS STARTING TO HIT THE BOTTOM LINE! The prospects for the American Airlines (AMR) and for Continental Airlines (CAL) keep being upgraded. Calyon Securities now expects (AMR) to lose 30 cents per share in 2006 versus a prior expectation of a loss of $1.58. Several other analysts have made much brighter projections. The 2006 target price of the stock at S&P is $40 per share. Whereas Prudential Equity Group just raised its target from $15 to $35. Bob McAdoo at Prudential now estimates 2006 earnings to top $3.50 per share. The situation is one of projected strong revenue growth on top of the dramatic costs reductions put in place the last few years. The company projects 2006 revenue growth of about 13%. The reason for the wide range in earnings projections is because of the wide range in estimated fuel costs. Earlier this year, AMR projected, 4th quarter, fuel costs to be an average of $2.34 per gallon. The revised estimate is $1.73 per gallon. The difference of 61 cents per gallon is a big number for a company that might use 3.7 billion gallons of fuel in 2006; an annual cost difference of $2.25 Billion Dollars! My favorite airline is Continental . This company will save about $500 million in labor costs in 2006. Should it also save 61 cents per gallon in fuel cost, the net profits could exceed $3 or even $4 per share in 2006 and possible $6 to $8 in 2007. The risk of higher fuel prices and the negative talk about airlines has kept the public out of these shares. Many stock brokers have been prohibited from recommending the shares for the past several years. Now that estimates are being raised, these restrictions are gradually being relaxed. These airlines are 98% or more owned by investment institutions. Even many mutual funds have restrictive covenants that prohibit ownership of distressed or turnaround situations; the levels of distress are declining rapidly. Suddenly American Airlines (AMR) is estimating year end cash on hand of over $4 Billion Dollars. Continental is now looking at around $1.9 Billion in cash on hand after catching up on pension payments to the tune of $237 Million Dollars. The turn-around story is not widely known, whereas most folks partially know the bankruptcy story. The important part of the bankruptcy story for AMR and CAL is that capacity is being cut dramatically at the bankrupted lines. The great opportunity in AMR and CAL are a direct result of the bankruptcy of competitors. Like my great grandpa used to say, "The time to get into the chicken business is when everyone else is getting out." His explanation included the ideas that the cost of chicken feed would go down while the price of the grown chicken would go up. The AMR and CAL three year potential of reaching $8 per share in earnings and PE multiples of 20 are real possibilities. In other words, investors who buy either of these companies now may hit a walk off home run. Those who average up on the way up should make serious money. As a retired investor, I write for the education and entertainment of my readers. As an amateur investor, I am not allowed to make recommendations. As an investor, I have made my share of mistakes. I have also helped a number of folks hit some huge winners. One of my best and most controversial moves was when I borrowed heavily in 1984 and used the borrowed funds to buy 30 year US Government Bonds that offered yields to maturity of about 14%. At the time, other investors thought I was crazy because inflation had been running at an even higher rate. In the years that followed, the rate of interest on the borrowed funds declined dramatically while the value of the bonds increased dramatically. My current belief is that the international airline business is going through a dramatic cyclical turnaround. Study the history of airlines to discover an incredible record of boom and bust. Some of the all time great fortunes were made during the years when Pan Am and TWA controlled the majority of international routes; neither firm survived the deregulation process that started in 1979. In the 1990's, Warren Buffet rode US Airways from $20 a share down to about $4 per share before the stock zoomed to $65 per share. In his report to share holders, Warren related that the roller coaster ride was almost as much as he could take. Warren's original purchase of $21 convertible preferred stock paid him a 9% yield but even that dividend was suspended for a couple of years. Warren eventually made about 300% in capital gains plus the 9% dividend; an incredibly good total return in, as best I can remember, about 5 years total holding time. Most investors made less than the 9% during those years. Today's situation is similar to what happened in the 1990's. When the business expansion kicked off around 1995, the fare for the average seat was pushed up by business travel demand. In December of 2005, the average seat fare is up about 10% year over year. Business travel boomed in 2005. The US is now a part of a global economy like no other time in our history. Bigger gains are projected in 2006. Most importantly, load factors are at record levels. It cost almost the same money to fly an empty seat from New York to New Delhi as it cost to fly a full seat. The revenue difference is probably 100 times the cost difference! Another way of understanding the situation is to appreciate that airlines have a very high break even point but, after the break even point is reached, more than 90% of marginal revenues are profits. Check the schedules, I believe you will find that AMR operates the only flight from Chicago to New Delhi and Continental Airlines operates the only flight from New York to New Delhi. Check all the other airlines schedules, you will find that you can't get there flying Southwest or Jet Blue. The Senior Senator from New Jersey quoted Yogi today, "It ain't over til it?s over". In the next hour or two, Bill Frist will lay out the Senate agenda for the next day or two. The dems feel strongly that they have a winning issue on their hands. The reps feel strongly that drilling in ANWR is good for America. The dems need so badly to win at something but they sure have picked on all the poor people who pay too much for gas. The situation strikes me as like the farmer who feeds one of 6 cows to the wolves in an attempt to save the other cows. The problem is that the wolves come back for more. At some point the farmer must fight the wolves. ANWR oil represents about 1/6th of America's Oil. There is really no good reason to leave it in the ground. Will the Senate continue to filibuster the Patriot Act? Will Bush continue to go on TV to put the dems feet to the fire? I, for one, hope this game is going into overtime. I hope the Senate is still in session on the day before and after Christmas if necessary. When major votes are taken, the party out of power always accuses the other party of breaking the rules. The Senate just voted for cloture but the dems filibuster held. Thus the rule of law was followed. The rule of law says the vote can be called again. Bill Frist voted last. His vote against cloture allows him to call for reconsideration. He has done so. "It ain't over til it's over". It is time to pump oil from Alaska; the pipeline from Prudhoe Bay is already built. It has the capacity to transport this oil to the lower 48 states. The current price of oil makes this oil a valuable resource. The revenues to the US government have been earmarked to help hurricane victims; a worthy use of funds, but the more important impact will be on the price of gas to us all. This supply might not lower the price of oil but it will at least help limit the peak price for a lot of years to come. Stay tuned. Investors should be interested as should all citizens. Why should you pay extra for gasoline and heating oil while US owned oil sits in a big hole in the ground? The AOL-Goog deal is a win-win deal. It forces a few compromises on both parties and takes Google in the direction of the "old web" but it also opens up the massive film library and massive instant messaging service controlled by AOL. AOL has set up its film library to force advertising down the consumer?s throats. It is a real shame that the TWX folks are not ready to experiment a little more with pay per view and relevant, non-obtrusive advertising. We can only hope that Google will help AOL adjust to the "new market". To access the AOL IM service, Google Talk users will need to open a free AOL IM account. I can live with that. After Google Talk is open to a few more services, the push will be on for all IM services to communicate with one another. It makes no long term sense for Yahoo and MSFT consumers to only communicate with one another and for AOL and Google Talk users to communicate only with one another. The also-rans will be quick to make deals with these two major choices. The good news for AOL and Goog will be the increase in ad revenues. The potential is huge relative to current levels. Again, AOL needs to let Google show the way. Those of us who use the services should boycott services pushed by AOL that require ad viewing. Ultimately, in an open and competitive market, the consumer has a lot of power; use it! ANWR contains 16 billion barrels of oil; maybe much more. At current prices, 10 or 11 billion barrels are profitably recoverable. Drilling would occur on a small area out of a land the size of the State of South Carolina. The polar bears and caribou would not be left homeless by any stretch of the imagination. Today there will likely be a close vote in the Senate to remove ANWR legislation from the defense bill to come before the Senate. Vice-President Cheney has returned to Washington to break the possible tie. Fifty-one votes or more will decide the question. Should the vote to remove fail, the democrats will attempt to filibuster the bill. A number of folks do not want to vote against all the other stuff in the bill. I predict that ANWR will stay in the bill and that the filibuster will fail. I can't write with great confidence but drilling is the logical step. It is silly for the US to pay dearly for foreign oil when we have 10 billion barrels out in the woods. Actually there are no woods in ANWR. ANWR is up there. It is beautiful country. Hawaii is beautiful country too. The oil wells drilled at ANWR will be small relative to the area of hotels that cover Hawaii. When the oil is pumped out, ANWR will return to its natural state. Hawaii will never be the same. The argument that ANWR will at best supply us with a million barrels per day is weak. Our entire country only produces 5 million barrels per day. Yesterday, a big gusher was hit in the Gulf of Mexico. It will likely yield 100,000 barrels per day. Many a commercial well produces 5,000 or fewer barrels per day. The major field under development in Kasistan (spelling wrong-it has an h in there somewhere) produces only 1.3 million per day and in 10 years it will only be producing 3.9 million per day. Unfortunately the 25 year delay has only been about politics. Democrats cannot push for government regulation of energy use if supplies are ample. We have been down the regulation road too many times before. Senators, let the market work! Vote to drill in ANWR. The number of oil discoveries around the world is rapidly increasing now that over 3,000 rigs are active. The number of active rigs has increased several folds since the bottom made when oil traded at $12 per barrel in 1999. The major new developing field is in Kazakhstan, a former state of the Soviet Union. This region holds an estimated 35 billion barrels of oil, significantly more than the North Sea. The field produces 1.3 million barrels per day now but is expected to reach 3.6 million barrels per day by 2015. We have not heard a lot about this oil in the US because China is buying much of the production. We should all appreciate that oil is a fungible product; the more that is discovered in one part of the world the more that is left in other parts of the world for others to use. Discoveries have recently been made in the Gulf of Mexico, in the Congo and in Canada. The search is constant. T. Boone says 85 barrels production per day is probably peak oil. I think he is wrong or he is trying to talk the market up. Time will tell. Right or wrong, coal can be converted to fuel for somewhere between $35 and $45 per barrel. New technology might lower the price. Large scale conversion plants will not be built until it is clear that the price is likely to stay above $45. In the meantime, coal, nuclear, and other facilities will be built to replace oil in the production of electricity and in industrial processes. Investors should only overweight energy stocks if they believe the price is going up much higher. The market will discount the probability that the price in a few years will be at $45 or less. THE $7.46 PER SHARE CUSHION! Yes, Continental Airlines is heavily in debt. Yes, the bond rating is junk. Yes, other major competitors are under court bankruptcy protection. Yes, the company is the most international of American firms and yes, international business travel is booming. Yes, the company has cut annual labor costs by $7.46 per share! The final tally is not available because the attendants must vote in January. Prior to the vote, the tally is about $418 million per year in labor savings. The company sought savings from attendants of $82 million. An agreement was reached a couple weeks ago but, again, the vote will be held in January. Yesterday, Standard and Poor’s reiterated their strong buy recommendation on the stock. The firm raised its 2006 earnings estimate from $.85 to $1.75. It raised its price target from $19 to $37! It raised its price target from $19 to $37! It raised its price target from $19 to $37! (Did you catch that last sentence? One of the conservative assumptions made by S&P is that fuel costs will rise another 10% in 2006 after a 55% increase in 2005. I disagree with the projected increase although I must confess that T. Boone predicts that after crude hits $50 to $53 this winter that it will rise to a new peak by next summer. T. Boone has an excellent track record. This morning, a gusher hit in the Gulf of Mexico barely rippled the market. The 3,000 active rigs may yield a nice surprise at any time. Do you remember how big a surprise it was when the north sea wells gushed? Yes, they are being depleted rapidly but there are reasonable estimates of 3 Trillion Barrels yet undiscovered. The bottom line of this report is that, with airlines flying more full seats than ever before and with labor costs reduced dramatically, international airlines are going to make large profits for the next several years. It is always a bit scary to buy a stock that has a negative book value. Three years ago, when we bought Nextel (NXTL--S), it was a difficult purchase. The stock went from $3 to $28 in no time flat. The negative book value was not important but the future earnings were. Buy CAL. If you must split the purchase, buy half CAL and half AMR; the reason to split is to give yourself the confidence to buy a full position. Buy with confidence, the firm has negotiated a $7 per share cushion! The pension reform bill took another big step Thursday after market hours. Bills have been passed by the house and senate and airline industry executives have received assurances that the final bill will include relief for the industry. Spreading the required payments out to 20 years should help cash flow and liquidity at AMR and CAL. CAL is current on its pensions but the relief will still help with future cash flows. AMRwent up $1.80 a share today. What a horse? Om Malik on Broadband : � Google Music, The King Maker? I am not into internet music or music downloads. I own an XM radio but don't listen often. Never-the-less, I recognize that music is an important internet category. As a fan of Google, I am pleased to read Om's glowing report. The Google system sounds like an excellent first attempt. For the past few days, I have noticed more major media providers in my Google sidebar. Magazines, TV networks and major newspapers are opening up to the "new model". Another thing I have noticed is that I am likely to stay for a while on a well designed major media site after being attracted by a single article. For example, tonight I clicked on an article of interest on the CBS News site and then spent about ten minutes looking a several of the folders linked from the page. The big mo is already racing down the railroad track. It is a matter or time before most outlets climb on board. Revenues may be lower but the old way is dying. Those who build a internet business will be around to collect what revenues can be collected. In one way or another, the public will pay a fair price for quality content. Google has just started helping folks find quality music and all the information about that music. AMR and CAL. hit new highs for the year while oil prices traded over $60 per barrel. A five dollar drop in the oil price from here could set AMR and CAL. on fire. These companies have cut cost by such a huge amount that labor is no longer their largest operating cost. Fuel is the biggie now and these airlines are projected to make money in 2006 even if current oil prices hold for the year. A drop of $5 per barrel will boost earnings to the $4 plus area. These stocks could shoot right past their old all time record highs in just a couple of years. What a turn around? The above was written this morning. By late afternoon, the oil price was down a bit and AMR and CAL. soared in price. There is a rumor going round that the congress may yet pass pension reform. Passage would help AMR and CAL. more than most as there are special previsions in the bill to spread out the payment of airline pensions over 20 years. The benefit would be a welcome boost to cash flow and liquidity. What do you make of a strong economy and weak inflation? The market continues to have a hard time figuring out the current economic climate. It is funny that just a few months ago some folks were writing about the risk of stagflation; the opposite situation exists. The inflation report this morning showed again that inflation is very tame. Yet, the NY index showed industrial production is very strong. The market has long tended to respond to extra good news with a knee jerk counter move. You know the old saws, "buy on bad news sell on good" or "buy the rumor, sell the news". The news is so good the market does not know what to make of it. This year will be the first year in the history of the FDIC that a bank did not file bankruptcy. This year is the third year in a row of double digit profit growth. This year is yet another year in a decade of extraordinary productivity growth. The old dead horses, being beat by those who are politically opposed to George Bush, are starting to stink up the place badly. The argument that the tax cuts only benefited the rich is hard to continue. It flies in the face of sharp increases in compensation, sharp increases in average family net worth and steady increases in standards of living. Good jobs are available. Unemployment is low. Balance sheets are in great shape. A capital spending BOOM is about to get underway. The number of wireless routers, Skype telephones, servers, fiber optic cables and other electronic gadgets that will be purchased in the next 5 years is going to make the 90's boom look like a mole hill. When the news is too good, such as when all the factories are running at full capacity, it turns out to be bad news for interest rates and inflation. The current economy is not over-heated, but companies are making money and expanding at a moderate pace. Life is good. What a difference 10 years can make? American Airlines just added a new flight from Chicago to Delhi, India. It did so without buying a new plane or cutting out service to any other city. The plane will be turned around in time to make a Chicago-London flight and be back in the US in time for the next Indian flight. American employees accepted pay cuts a few years back to help the airline survive tough times. Now the airline pays the employees bonuses when they help increase revenues. This is not your father's airline. CAL is my favorite, LCC is the best value by several measures, but AMR is a solid competitor. The bond grades of CAL and AMR are the same. These bonds are not investment grade but cash on the books should grow dramatically in 2006. Upgrades are likely. The timing is not right to invest in the "other" low cost carriers. The bullish percentage ratio on oil stocks is up around 83%. This is a solid contrary indicator. If the majority is as wrong as usual, oil could quickly trade at $53 per barrel or less. The annual earnings should oil average $53 will be better than $4.50 per share for AMRand CAL. Oil inventories are currently unusually high. If the weather warms a little, oil prices could drop quickly and airlines could soar. Tomorrow's gas inventories are worth noting. macroblog: Is This Good News? This year will be the first year without a bank failure in the Federal Deposit Insurance Corporations history. Macroblog asks the question, Is this good news? I ask the same question but with a different premise behind my question. A little research should show that 1975 and 1992 were good times to buy bank stocks as long term holds; right at the end of real estate recessions. Further research should show that 1982 and 2001 were good times to buy after the end of manufacturing recessions. Bank failures were large during the recessions and particularly large during the real estate recessions. Recently, TV talking heads have suggested that banks will do well when the FOMC stops raising rates. They may--at least for awhile. Playing short term moves close to the end of a cyclical move can be profitable but, stay too long and you might get your head handed over. My friends and family are generally avoiding bank stocks. A rising interest rate environment generally lowers the value of existing fixed rate bank loans. The end of the FOMC increases is not the end of the uptrend in interest rates. A strong economy should keep the pressure on rates. Business spending will be strong. Banks will lend money but they will not enjoy the benefit of lending at a fixed rate and then watching the cost of the funds lent decline. When the real estate recession does finally hit, the banks will be hit with substantial losses. One does not want to hold bank stocks a year or more in advance of a real estate recession. I believe the next real estate recession will hit around 2010 or 2011. Play the banks for the next year or two if you must but plan to sell at least by 2008.
macroblog: Are Workers Losing Ground? I love the way the macroblog turned the whine about declining real average hourly earnings into"Praise George Bush!" Real compensation has risen faster during the Bush presidency than in prior administrations including those of Clinton and Carter. The response from the lefties is easy to anticipate. They will say that the problem is that health care benefits are the cause. There is no doubt that Americans choose to pay more for health care than citizens of other nations. The lefties might conveniently leave out other factors such as increases in social security payments. The whiners simply will not hear or will choose to disbelieve that Americans now have savings of 156% of consumer debt. No doubt there are savers and spenders in our society but consumer and business balance sheets are in the best shape in years. Another important point is that we are just entering the expansion phase of the economic cycle, when wage increases will be the strongest. Even so, total compensation is already zooming. Over the next several years, employees will be delighted to receive higher than average wage increases. My daughter is currently experiencing the good fortune of graduating college at just the right time. She has one job offer on the table and several more openings to consider. Some church friends are debating the wisdom of buying a bigger house. They need the house but are concerned about their ability to pay. My counsel is that they should go for it. Their wages are going to rise while the mortgage payments will be fixed. Because my wife and I borrowed the down payment and money for furnishings, our first house payment totaled about $600 for the first 5 years. The actual mortgage payment was $300.90. These numbers were huge because we moved out of an apartment that, including heat and water, cost $78 per month. My salary in 1977 was $9,500 per year. The total payments consumed 76% of may pay that year. By the time of the last payment, $300.90 for a house payment was a joke, one that we have enjoyed laughing about for years. The beauty of America continues to be that it is a land of opportunity. Total average compensation is going up because Americans have the freedom to learn new skills, start new businesses and trade highly valued skills for services from others. God Bless America! Fitch Ratings has posted a good report on U.S. Airlines. Can steady increases in revenues help airlines over the hurdle of high fuel prices? It gets tiresome to see the false presentation of news and then hear it repeated time and again. I read the false info in the blog world and I hear it expressed daily by those who love to hear a good negative story. Over the years, Ed Yardeni has set the record straight but the mass media continues to spew out false info. Much of the false info is simply the telling of a story from a biased point of view. Many who repeat the false information know it is not true but big lies sell lots of newspapers. One of the oft repeated falsehoods involves the US savings rate. 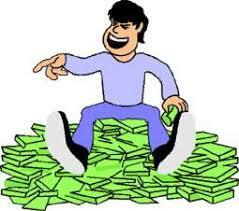 Here the blame partially must be attributed to the faulty methods used to calculate savings. Since I have written about this before, I will not go into the details again but instead will repeat some of the figures presented by Ed Yardeni. Total household net worth in America increased by $4 Trillion Dollars in the last 4 quarters! This increase is bigger than the total of consumer debt outstanding which is about $3 Trillion Dollars. Household savings is larger than consumer debt by about $1.7 Trillion Dollars. Total household net worth in America is over $51 Trillion Dollars and only $10.9 Trillion Dollars of this net is home equity. The average American has assets net of all liabilities that is equal to 5.6 times his disposable personal income. American's total assets are over $62 Trillion Dollars and total liabilities are about $11.4 Trillion Dollars. Since the recession, total savings and net worth have been growing steadily. The dire predictions of massive bankruptcy and the flight toward gold is simply misplaced fear. In the corporate world, the numbers are equally impressive. Cash flows of non-financial corporations have increased by $1.37 Trillion Dollars in the past 4 quarters. Liquid assets and debt ratios are at the best levels in 40 years. Some will take my last sentence as a contrary indicator. They will say that 1965 was not a great time to buy stocks; I beg to differ. The late 60's were good for stocks but by the end of the 60's inflation started to bite due to the policy of "guns and butter". The government decided to print more and more money to "pay" for the Viet-Nam war. The situation today is much different. Government revenues are increasing rapidly. Spending went up rapidly during and shortly after the recession but the growth in revenues is climbing fast and the growth in expenditures is slowing. Besides, if the market is as good from 2005 to 2009 as it was from 1965 to 1969, I'll take it. Another huge difference is that in the late 60's, so many of our men were soldiers that it affected the labor markets. Today, there is no real cost push inflation; certainly, not from wages. The only cost push is a temporary push from commodity prices and productivity has hammered these costs to the point that finished goods price increases are moderate. Don't believe all you read about no savings, tapped out consumers and inflation. More Americans than not regularly deposit a portion of their incomes into retirement accounts give a portion to church and charity and spend the rest. Business capital spending fluctuates far more than personal consumption and capital spending is heating up big time. Instead of Gloom and Doom, the media should be noting the bright economic prospects in our future. Big money is about to be spent on technology. Buy technology stocks before the BOOM goes BOOM, BOOM, and BOOM! Like water that will flow downhill, the digital book age is coming. In the WSJ (subscription required), it is reported that HarperCollins will host its own books. Google, Yahoo and others will be allowed to index. Google has never expected to host the entire world's content. Google only wants to make the worlds content available to those who seek it. Google TO BUY 1 BILLION SUNW COMPUTERS! Not really. I made the above headline up. It will probably happen but it has not been announced. Sun has introduced a computer that consumes substantially less electricity. Google has publicly suggested that they are looking for more efficient machines. Google's second largest expense is the power to run its data centers. The reason for the headline and the discussion here is that it all ties into the fact that HarperCollins plans to host 20,000 titles online. These 20,000 titles are a drop in a big bucket. The amount of storage and the number of servers needed over the next ten years is mind boggling. Google purchased Storage Technology because it has a vision of the internet; the vision is one huge computer network. As I continue to add new Googlefeatures to my own desktop, I have noticed that I am using more and more off site storage and offsite computing power. MORE TO COME! Expect the next 10 years to be a software and hardware boom! 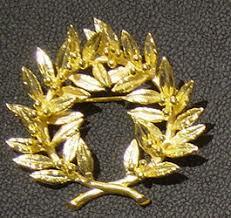 Mark Dodson, CFA at Hayes Advisors has posted several excellent points about gold. I posted the following as comments to RR's site. The public has flooded into the StreetTracks ETF for a little better than a year now. It has been the fastest growing ETF in history. It gave the public the ability to purchase gold easily. And, 232 tones have been purchased. The fund increased in size by 10% last month! Each time a purchase is made the fund has to buy gold to back the shares. There is a divergence that must eventually correct. Gold normally moves inversely to the price of the US dollar. It appears that some traders, who are short the dollar, are buying gold as a hedge. The average production cost of gold is only about $235 per ounce. Give the miners a little time and they will produce a lot of gold to be sold at $500 or better. I have made the same point as Uncle Jack this way; scores of countries are now routinely increasing interest rates thus increasing the cost to carry gold. I do not use the PPI because it is extremely volatile, but using the core CPI, real interest rates are causing a real cost to hoard gold. Gold cannot go up year after year at a rate that matches compound real interest rates. Of course, if you can sell to a bigger fool, it does not matter, but once the cycle breaks, the price will fall dramatically. Roger, in regard to correlations, there is normally a strong correlation between oil and gold. This too has diverged. The divergence sets up an arbitrage for the hedge funds, they can sell gold short, buy oil and know that the spread will eventually narrow. Believe it or not, strong gold is artificially inflating the price of oil. Heating oil, airplane fuel, and crude oil supplies are well above historical averages and yet the price went up last week (I know it was because of the unexpected cold weather in December). The good news is the invisible hand of Adam Smith will take charge to slow the consumption of oil all the more and eventually it will be oil that is dragging down the price of gold. Another divergence is between gold stocks and gold. It appears that some players are shorting gold stocks and buying gold ETF?s. Once the turn comes, the gold stocks will fall a greater percentage than the ETF?s that track the actual metal price. The European Central Bank sold tones of gold recently; it only takes one extra ounce to drive the price down hard. Manias can go a long way but I never want to depend on finding a fool at just the right time. Good discussion and, who knows, the FOMC could offer a surprise this week. The response of gold to a hawkish interest rate statement could settle the issue. How about that sentence as a contrarian pick! Capacity at auto plants is dropping like a two ton anchor. GM and Ford will each lay off 30,000 employees and close numerous plants. On the other hand, billions and billions of dollars are being invested around the globe in new oil refineries. Those who invest in auto stocks now will have to be very patient. They will have to ride a "Ken Fisher bucking bronco" but they will be happy for the ride in a few years. Those who continue to ride the oil stocks may "win" for a while, but the market has already discounted the profits of $45 oil. The price could easily be at $45 or less in the next year or two. The market price of the stocks will sniff the new price long before the commodity actually trades at the new price. The word bankruptcy is being used often in regard to auto stocks. This word has scared many investors out of their positions. Only the strong are left (maybe a few sellers left but short sellers will be buying back shares fairly soon). Business is really not very complicated, if you and your competitors cut production and costs, you make more profit per unit of production. Ford and GM are taking a knife to costs. The companies now use robots to do most of the production work. Heath care for existing workers is being cut but, more importantly, the number of workers is being cut. Please don't whine about the loss of "good manufacturing jobs". The whines for the loss of good jobs started more than 300 years ago. China lost millions of manufacturing jobs in the past 10 years. The United States makes more products per capita than any other country. The USA is a manufacturing champion. Intel (INTC) now makes $450,000 of product per employee each year! For folks to resent a poor Chinese man or woman because they are willing to make socks and underwear cheap is incredibly selfish. We should be glad to help the poor and we should be thankful for the cheap socks (apparel inflation has been negative in this country for more than 10 years). I support, wholeheartedly, educational programs to retrain American workers who have lost jobs making socks. I support the elimination of Ford and GM jobs where the employee is making substantially more than the value he or she is adding. No American should have to pay an extra $1,500 to $3,000 for a US made car to provide extravagant health care and pension benefits to a very small group of Americans. The cost of the steel in American cars is less than the cost of the heath care and, as was mentioned before, robots are doing most of the work. Ford and GM have each lost market share to the Japanese, who do not overpay their production workers. The number of "good" American jobs will expand if the wages are competitive. The fact that is commonly missed by many Americans is that when American companies are artificially forced to pay higher wages, he poor are the ones who are hurt the worst! You hurt them in two ways; the poor must pay too much to buy a car and the number of jobs is reduced. John D. Rockefeller once said that the most charitable thing one can do is to give a person a job. A handout can be demoralizing and drive the recipient to a state of dependency. A job is a wonderful gift that keeps on giving. Now that Ford and GM are winning concessions, the total costs of their products will become more competitive with others. Henry Ford said the most difficult work of all was the thinking. Henry Ford did a lot of thinking. He is most famous for inventing the assembly line but he and his good buddy, Thomas Edison were constantly thinking up new ideas and inventions. Seven years before the start of the assembly line, Ford solved the major problem of manufacturing cars by standardizing the mechanical parts. The good news is that in many industries, Americans are getting paid well for doing the thinking, the production is outsourced to overseas suppliers. The foreign suppliers are doing most the work but Americans are getting most of the profit. Ford and GM designers can and will build a good car. Each will be around a lot more years to build them. In 1999, when GM and Ford had huge profits and when the price of oil was only $12 per barrel, the oil companies were suffering from lack of earnings. It was an excellent time to sell GM and Ford and an excellent time to buy XOM. Now the situation is reversed. GM and Ford do not have earnings but oil stocks are at their peak. Kuwait is yet another oil producing country ready to let foreign expertise boost output (others include Libya, Russia, Syria, Iran and Qatar; to name just a few). Kuwait expects to boost production by more than 300,000 barrels per day over the next five years. Kuwait also plans to build a 600,000 barrel per day refinery. Drop by drop, new supplies are coming. One theory, I believe to be true, is, that deep in the bowels of the earth, oil is being constantly "manufactured". This is not to say that it is being made as fast as we use it but it does suggest that peak oil production will not be reached for many more years. There are substantial supplies of sour crude already discovered but not being pumped because refiners have been happy to spend less on refining the sweet stuff. New refineries will be geared to handle more of the sour crude. Right now, the trick is to "get over the hump". We have had to "get over the oil hump" many times for more than 100 years. Supply and demand does not reach an equilibrium price in the case of agriculture products and commodities (one major reason we pay farmers not to grow stuff is to try moderate the price swings, unfortunately another major reason is politics). The pattern, traced by the crossings of the supply and demand curves, is called a spider web because it never meets in the middle. It simply takes a few years after the equilibrium price is passed before enough investment is made to catch up, once the catch up process is started, it continues until there is too much production. No one knows what that equilibrium price is but obviously it was passed somewhere along the way from $12 per barrel oil in 1999 and $70 per barrel oil in 2005. It will be passed again on the way down. It will be interesting to watch the financial results of the companies that are converting coal to liquid. I believe these companies will make nice profits as long as oil is more than $40 per barrel. If they do, then expect to see many more coal to liquid plants if oil stays above $40. Interestingly enough, the price should become more stable when the use of abundant coal is the low cost product. When peak oil production is reached, unless some other technology proves to be more efficient, the cost of fuel produced by the most efficient coal to liquid technology will largely set the new price. My good sources over at Econobrowser suggest that tar sand oil is not going to replace more than a few million barrels per day. I accept their contention for at least the intermediate term. However, there are trillions of barrels of tar sand oil that will eventually be worthy of mining. Wind power and corn power are far less efficient that coal power; do not count on these sources except to the extent that well meaning but poorly informed environmentalist and politicians dictate. I should acknowledge that many fuels are worthwhile in certain limited and typically small scale incarnations. For example, several beer plants are now reprocessing spoiled beer into ethanol. Solar is good when a small amount of power is needed in a place where the cost to run an electrical wire is high. Hydrogen may work out well but most likely only after nuclear plants are providing large quantities of excess electricity at night. The F-T coal to liquid technology, used by Hitler to fuel German tanks, was invented around 1920. South Africa is one of the biggest users today. The US has joined with 6 other countries to invest in a research project to discover if the process can be made more efficient. The beauty of coal to liquid is that it pollutants are removed during the processing. Bechtel (a private company) builds power plants that use this clean coal to gas process. Japan has passed laws that dictate the use of clean technology so this process is being studied. Investors should remember to buy cyclical stocks such as oil drillers when they are not making money and to sell them when they are. The only thing that will make oil drillers move up much from here will be a surprise in the peak price of oil. The market price of most energy companies already discounts the current price of oil. Another way of saying the above is that one should not invest in an industry when a large amount of new capacity is about to come on line. I lost count of new refineries under construction or on the drawing board, but it is a large number. Some, such as the Viet-Nam refinery, is being built exclusively to serve local markets. However, others such as the one in Portugal, is being built to export virtually all of its production, in this case to the US. Drop by drop, little by little, inch by inch; I am reminded of the old Three Stooges Gag. It is not a threat but a reality that more and more black gold will be found while it trades at $50 or more per barrel. Refineries are under construction, indeed, too many are under construction. The crack spread is going to virtually disappear in a few years; speculators may want to play the cold weather game, investors should under weight energy stocks! Can there be any doubt that chip sales are on the upswing? When I look at all the new services being offered by Yahoo, Google, MSN, AOL, and APPL, to name a few, I can't see how one would not expect high chip sales growth. When Google Analytics was rolled out as a beta program, Google was overwhelmed by the response. Google probably has 200,000 computers but not enough. Moore?s law continues to work but the situation is a bit like electricity at the turn of the 19th century; electricity was more efficient by orders of magnitude. As a result, we think nothing of leaving a 100 watt bulb burning for hours on end today. This same amount of lighting 100 years ago would have cost us almost a days pay. Today, Google, Yahoo, and the rest of the usual suspects are providing services so cheaply that they can give much of it away in exchange for advertising revenues. I have asked this question before but it is worth asking again, where does the demand curve cross the supply curve when the service is in great demand but is free? The internet is quickly catching up with its capacity. Chips are getting ready to sale like hot cakes on Fat Tuesday! ABI Research reports that broadband video grew from a small base by 100% in 2005. The company projects a $16 billion market in 5 years. Folks, if you remember the way the internet was hot in the late 1990's then you have an idea about how hot it is going to be in the late 2000's. The typical S curve slow down has occurred and the build-out phase has started. The leaders are Google, Yahoo, and a number of equipment and supply companies. Companies like Broadcom, Marvel and Corning Glass. Dead money stocks such as Cisco will also catch fire again. Community search systems are the rage. The theory is that your buddies have found the information you want. You college friend already knows the good home team basketball sites, etc. Yahoo, Google and MSN all have been working on tagging systems to categorized more of the web content. A lot of money is being spent to gain or hold market share. Google is the top spender in research and development and it has paid off. Yahoo seems to be the top acquirer but I don't have the numbers at hand. The combination of MSN and AOL is still going to be a number 3 "also ran". AOL has access to great content but I have a hard time believing that content owners will want to wall off their offerings. Google and Yahoo have the eyeballs. Those making their content searchable through Google and Yahoo are getting a tremendous amount of traffic. APPL has been the content deal maker to date. The gap between Dell MP3 players and Ipods is large. Leadership is a self fulfilling property. It is always hard to knock the king off the top of the hill because the challenger is fighting an up hill battle. Still, the Ipod is still a niche player until it becomes a more integral part of the internet. Yahoo and Google are neck to neck with Google killing everyone in search and Yahoo with big leads in many side areas. For now, search is key. News Corp, Barry Diller, a couple of newspapers and others are running far behind but each has a niche or two cornered. You may remember how Disney spent a bundle but the lead horses could not be caught without spending a huge fortune. MSFT has 45 billion in cash but has not yet found the way to muscle its way into a leadership space. Again, a link-up with AOL is not going to be enough. I am anxious to use practical social system products. For example, I hope my church is able to benefit from such a system. The company that has the servers and software to share with the masses, supported by advertising will win big. Google is now about 3 lengths to the front of Yahoo and pulling away gradually, the rest are ?also rans?. OIL REPORT--OIL PRICE TOO HIGH! This morning it was interesting to read that Kuwait is selling a boat load of BP shares right after reading that BP is producing steam at one of the last refineries shut down by Katrina. Oil supplies are looking better and better and yet "cold weather is pushing up the price". Folks, cold weather should not be big news on December 9th. A little bit of cold weather is no big deal when crude supplies and distillate supplies are well ahead of last years numbers. The US just went back over 5 million barrels per day of production for the first time since Katrina hit. Refining utilization is now at 90% and was only at 94% last year at this time. The BP plant restart will drop the shut-in production down to 300,000 barrels per day, putting utilization back at last years level. My figures come from industry analyst, James Williams of WTRG Econometrics. Williams has a public web site and subscription service. I have found his information to be highly reliable and I recommend his service. The one area where I slightly disagree with him is in regard to the reasons for the current high prices. I tend to agree a little bit more with the Saudi's in this regard. The Saudi's contend and Williams agrees that they have excess capacity but the problem is that the excess is heavy or sour crude. The Saudi's believe that the new refineries being built will help solve the pricing problem as they will be able to refine these heavy supplies. Williams offers valuable insight. He shows that the spread in the price of light versus heavy is up to $6 per barrel. This spread was about 75 cents in 2002. In percentage terms the spread has widened from 3% to 15%. My conclusion is that the completion of heavy crude refineries will reduce the price of oil. The availability of this heavy crude is just as good for the oil market as the discovery of 2 or 3 million barrels per day of new supply. It is true that this is only a marginal improvement for the long haul. New discoveries will still be needed. The willingness to refine these heavier supplies will also serve to encourage gas to liquid and coal to liquid projects. The total cost including the refining cost for the heavy crude is closer to the total cost of converting other supplies. Williams and I agree that we need more supplies and more refineries. I am not convinced we need many more refineries in the US. Growth in usage in the US has not been very strong for many years; about 1.2%. Conservation efforts, mandated by price, could slow the growth of consumption to nearly zero. 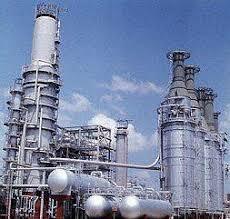 Developing nations need refineries. Many are on the drawing boards. Developing nations have been hit hard by the increase in price. Indonesia has cut back consumption by a significant percentage. Others, including China, are at or near zero growth for the year. Cold weather is ahead but then it will go away. Cold weather is a very short-term and expected event. When crude traded for $12 in 1999, there was little drilling activity and little incentive to conserve. The intermediate term clearing price has been reached. Three years ago, drilling activity started picking up. Now there is a frenzy to find oil. Consumer’s attitudes have changed. Consumption growth has slowed. The current price is near the intermediate term peak. Three years from now, the price of crude will be at $40 or below! That's my story and I'm sticking to it. Content providers such as News Corp, Time Warner, ABC and NBC continue to avoid making content available over the "broad" internet. They continue to hold onto media forcing folks to view the content on the distributor?s dictated terms. It is a far more pleasant internet experience when one can do a search to find content from many sites. Will consumers allow the media providers to "wall off" content into "channels"? The good news about the internet is that we don't need channels. We don't need to buy a whole package of channels that we never watch. Those who like college basketball should be able to instantly find a list of hundreds of games played, sorted by date, team, conference or any other criteria. A fan of Alan Iverson should be able to select any game he has ever played to watch. Generally, if the public demand is for a certain product, business will supply that demand. The media conglomerates will hold out for as long as they can but a good day is coming. There are a few knowledgeable folks who say that there is plenty of oil around. These folks include the Saudi King, the Chairman of XOM and the folks who posted the linked story. One can easily dismiss these folks on the grounds that they may be telling what they want to believe than what is real or they may be telling an outright lie. I believe they are telling the truth. The problem is that I think in the long term. I dated the same girl for 5 years before I married her and have now been married 33 years. I still drive the van I purchased 12 years ago. It has 238,000 mile on it and runs good. I buy stocks with the expectation of holding for an average of 4 years or more. I see plenty of energy available. Some of it will take a long time to develop. For me, the current question is not about how much oil there is. I believe that the earth, deep in its core, is making more oil every day. I am confident that we will conserve as necessary and produce as necessary to fulfill all our needs. The current problem is a short term problem, maybe an intermediate term problem but not a long term problem. Yesterday, Devon Energy increased reported know reserves by 40 million barrels. This is a drop in the bucket but indicative of what has happened over the years. The current scare talk will serve a good purpose. Lifestyles will change to meet the new reality. My wife and I are making plans to downsize. We no longer need 4 bedrooms and 4 and a half baths. Our new home will be within walking distance to the bank, YWCA, library and numerous restaurants and shops. With just two bedrooms and two baths, our energy needs will drop. The earth is a carbon sink. More energy is being deposited by the sun each day than is being used each day. The US has added 80 million acres of trees since the 1920's. There is plenty of energy, but the easy to find sweet black gold has been found. We will drill deeper and spend money to process some ugly stuff but we will not run out of supply. Supplies will be tight for a while longer which will keep the price up. The mistake is to assume that energy companies will go up in value strongly from here. Chances are, energy companies will only go up in value strongly if oil prices go up strongly from here. It can hardly happen. Sixty dollar oil is proving to be a "clearing" price. At a higher price, consumers cut back hard on their usage, substitutes are used and capital projects are started. Malthusians convinced much of the world that food would run out a hundred years or more ago; people would starve to death. Ironically one of the other big problems we have in the states today is obesity. Energy and food are available. The current price of energy is going to increase production and slow the growth in consumption. I project oil to be lower in price a year from now and much lower three years from now. Mark it on your calendar. A BULL'S WORD OF CAUTION! The current Bull rally has been a nice one and it ain't over yet! Sure it is currently nervously pawing the ground back and forth. But, it is preparing for the next charge. After the FOMC makes its expected quarter point increase next week, there will be good news ahead; the vote in Iraq, the potential passage of compromise bills in congress and the phased pull out of troops in Iraq. The market is anticipating the end of the tightening cycle and the end of the heavy fighting. The rub, posted today by my good friends at The Contrary Investor.com, is that over the past 50 years, the S&P 500 has been up 1.87% on average in the 12 months after the last rate increase. On the other hand, the S&P has been up an average of 17.3% in the 12 months after the first rate decrease. I believe 2006 is going to be a good year for investors. However, the above is a word of caution about getting too euphoric when the last of the rate increases has been announced (or for any other reason). It would be wise to be bullish prior to the last increase and cautious afterward. I know this is counter intuitive, but the market often moves up when it senses that the last increase is near. I plan to study the data tonight. It is likely that the data actually shows that the typical mid-cycle correction is quite different than at the end of a long upswing. The current relative value of stocks to bonds and to real estate is strong. Investors should be in stocks. Being in the right sectors is the trick. Local and long distance calls for a penny a minute is a great deal. The phone business continues to run into the internet business. Yahoo has thrown in a creative twist; you can have your instant messenger calls ring to a local phone number for $2.99 per month. I am not sure, but it seems that one would not even need a computer to get calls from other Yahoo users. This is another deal that will tie Yahoo customers to Yahoo. It also another small hit to the phone companies. This train is gathering momentum. At some point, millions are going to abandon phone company service. Skype and Google Talk are hard at work. They are preparing to offer the next generation of service. Skype has a portable wifi phone in development. I forecast that this phone and similar ones will be big sellers. Why pay Yahoo $2.99 per month to transfer internet calls to a phone service that cost another $15 or more per month? A wifi Skype phone would eventually give almost ubiquitous use with most calls free and Skype out calls for 2 cents. What will Google offer? Only the Shadow Knows. The rest must wait patiently with anticipation that it will be better than either service offered by Skype or Yahoo. CBS is joining the move to send video clips to cellular phones. Are consumers going to pay for video clips over cell phones or pay much less to get them over the internet? Consumers do not generally realize that video on demand is going to come to the internet. That is unless consumers agree to over-pay for these services over cell phone networks. A similar dance is playing out in the music business. Apple sells a tune for $.99 and Sprint charges $2.50 for the same tune. Consumers should hold out to make these available over the internet for the at least the $.99 price. The providers of content, such as CBS, are avoiding making content available over the internet until they can assured they will get paid for each viewing. When Google and Yahoo have much independent content available and this content starts to win market share because it is a relative good value (much of it free in exchange for advertising) then the pressure will be on the media networks. Take weather as an example. It does not cost a fortune to set up a studio to produce one weather report after another for one community after another. A company could produce 3 minute weather reports for 20 communities? non stop. On demand, any interested party in the 20 communities could view a current report. Take high school sports as another example. A local company could focus on all teams in a county and keep a backlog of sports reports on file. The night that Joe hits a three point shot at the buzzer to win the big game might be replayed tens of thousands of times over the next 50 years. The long-term advertising revenues from that one shot would go along way toward paying for the production crew (maybe just one camera man and one announcer) to follow those teams. One might say that the demand for high school sports is not strong enough to support video. That would be a wrong assumption. The theory of the "long tails" is a valuable reality to understand. The fact is that entertainment demand has been shown to be a very widely distributed one. In other words the bell curve is a flat looking curve. This means that, although the most popular shows will attract a large audience, the sum of the audiences for all the other shows is greater than the sum of the audiences for the most popular shows. Another way of saying this is that TV reruns get a lot of viewing year after year. CBS, ABC and NBC are being forced to consider new ways to distribute their shows. Cable TV no longer has the solid lock on the consumer. Per person time on the internet has grown dramatically and is projected to grow dramatically. Right now, total time spent is up to 30% but advertising revenues is still only 5%. Smart marketers can save a lot of money by advertising over the internet. It has taken Google 7 years to gain 1% of the total advertising market. The last half of one percent only took them 1 year to gain! Is it possible that Google will gather 10% of all advertising revenues one day? Of course it is. The key is going to be video. I very much want to be able to watch what I want when I want without having to spend 40% of my time watching advertising. A good 30 minute stock market show could gain a large audience quickly if it was available on demand. As a 55 year-old who is ready to slow down, I am not ready to build a media business, but others will. Assuming that I successfully sell my resort property rental business, I would be willing to back the production of such a show. The world we know is changing. CBS joins others in feeding clips to cell phones. Joy will come to Mudville when huge amounts of content are available over the internet on demand.